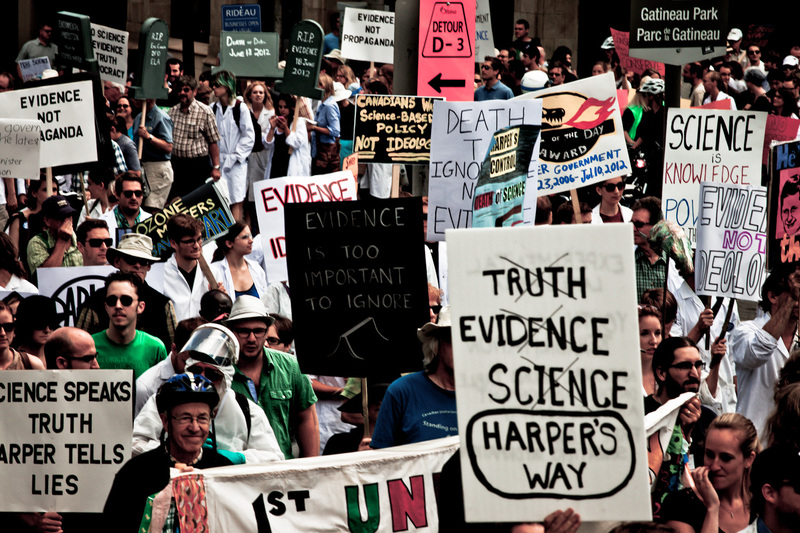 It’s no secret that the current government hasn’t exactly been friendly to the sciences. The recent muzzling of Canadian scientists, preventing them from talking to members of the press, is just the latest example. 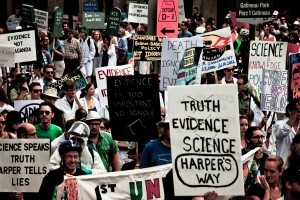 The Death of Evidence is the name given to a movement that has emerged to resist the censorship of scientists in Canada. On Nov. 6, Thomas Duck visited TRU to wade into the issue. Duck points the finger at the government, universities and the Canadian people for allowing this to happen. When Prime Minister Stephen Harper achieved a majority government in 2011, the government made sweeping cuts to both Environment Canada and the Department of Fisheries and Oceans, eliminating 10 per cent of staff. “You know you’re in trouble when you receive a workplace adjustment letter,” Duck said. These cuts were just the beginning. Many organizations would feel the effects of this. Duck used the ARQX, the experimental studies division which focused on the environment, and the experimental lakes region in Ontario as examples. The ARQX was an extremely influential organization in environmental studies. The project used ozone balloons to measure the altitude of the ozone layer and conducted numerous climate experiments. The ARQX is now cancelled. The experimental lakes area in Ontario was a one-of-the-kind facility. It consisted of 58 small lakes that had been set aside and managed for controlled experiments on the effects of different agents on bodies of water. This facility was responsible for limiting phosphorus in detergents due to the impact it had on lakes. The facility is now cancelled. “[The government] prefers to run uncontrolled experiments over in the oil sands rather than controlled experiments in the experimental lakes area,” Duck said. After these cuts, omnibus budget bill C-38 was introduced in April 2012. This budget had a lot of environmental motions attached to it, and because it was a budget bill it had to be supported by the conservative party or it would be a motion of no confidence, according to Duck. The omnibus bill ceased 3,000 environmental reviews that were underway, 678 of which had to do with fossil fuels, and 248 of which had to do with pipelines. Duck doesn’t solely blame the government though, he also blames universities for failing on their communication responsibilities. Unfortunately, Duck believes that Canadians are mostly unaware of the benefits science has on their health and the economy. “If we expect the public’s support in what we do, then we need to do a better job at communication,” Duck said.